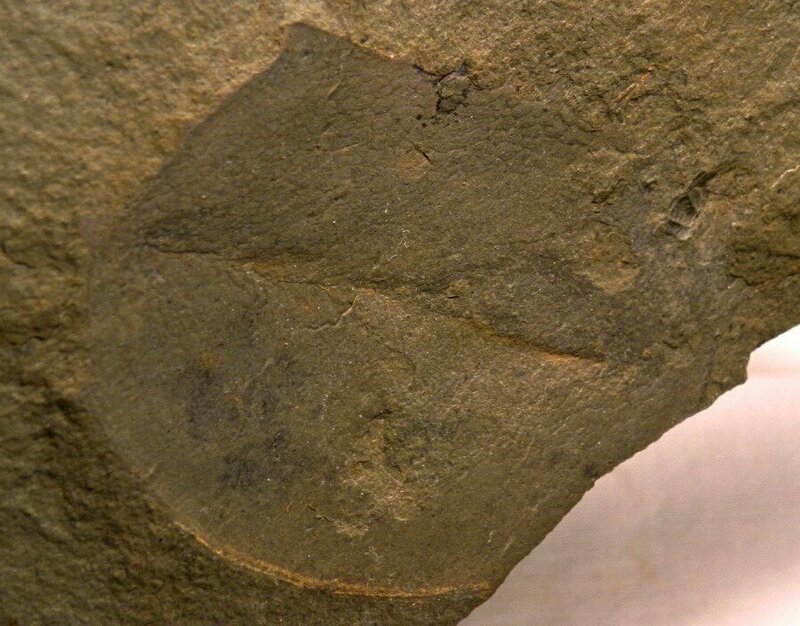 This is a rare arthropod, apparently bivalve, known as Tuzoia that is found from several of the world’s Cambrian Lagerstätten, such as Canada’s Burgess Shale (Tuzoia burgessensis, Tuzoia retifera and Tuzoia canadensis) and China’s Maotianshan Shales (Tuzoia sinensis), and still others from the Eager Formation in Canada and Emu Bay Shale in Australia. It is but one of the many arthropods that arose during the period known as the Cambrian Explosion. Although not widely known about, these Burgess-Shale like animals also occur in the western United States (e.g., Utah’s House Range Marjum and Wheeler Formations). 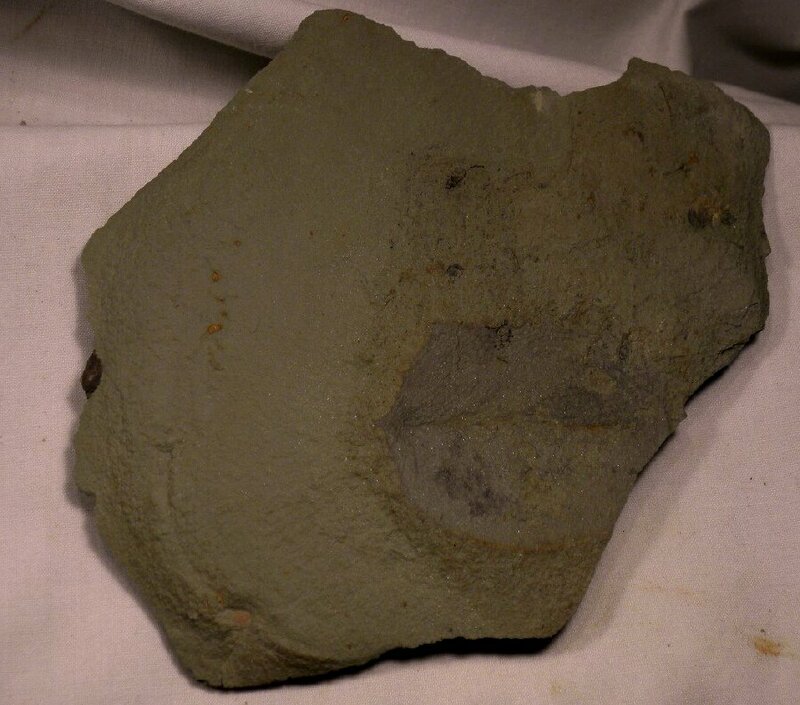 This one comes from Nevada’s Pioche Formation the lower strata of which is actually some 10 million years older than the Burgess Shale. 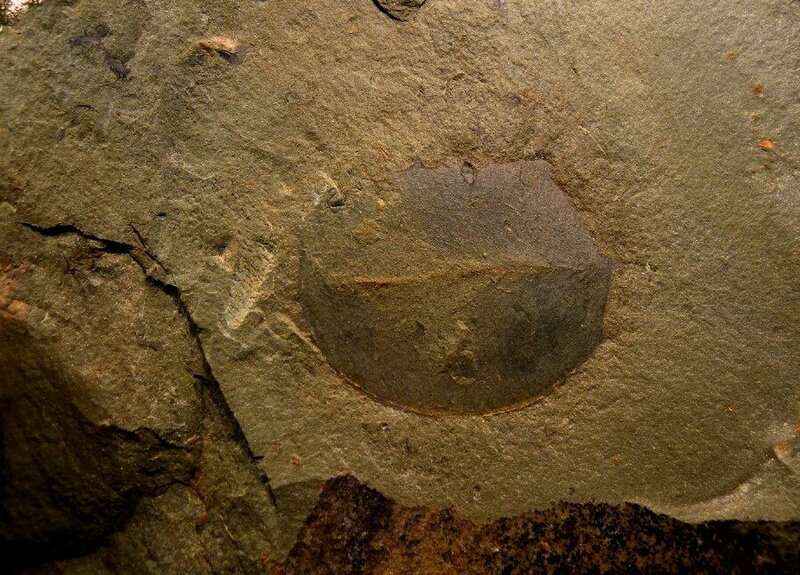 Interestingly, the Pioche also spans the appearance and extinction of the Olenellid trilobites. 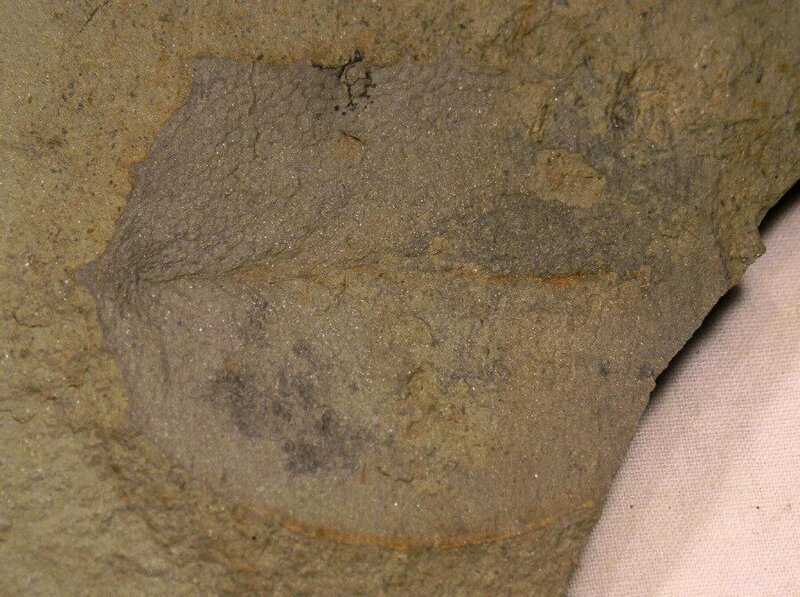 Polygonal patterning is often seen on Tuzoia carapaces, and they are evident in this fossil, though faint. Species are typically differentiated by the presence and location of carapace spines. 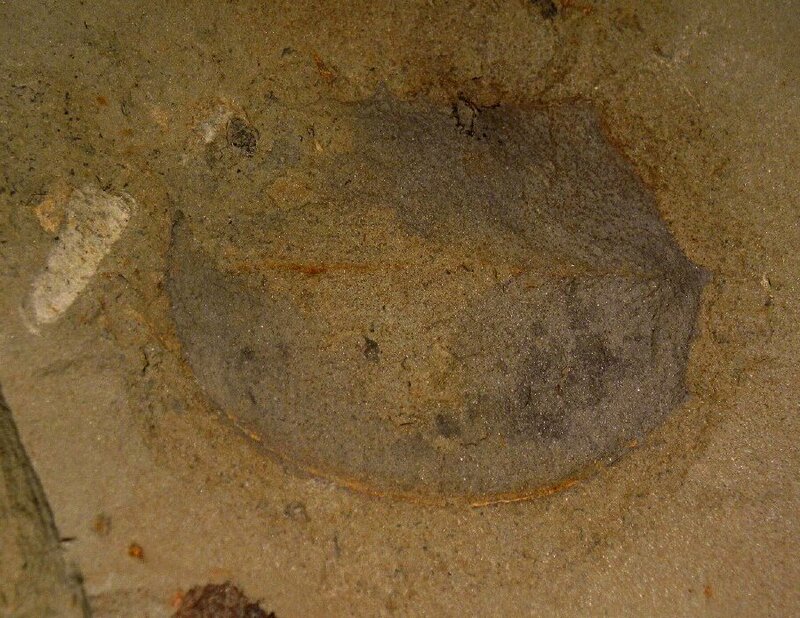 Like Branchiocaris pretiosa from the Wheeler Formation of Utah, the affinity of Tuzoia is disputed, with some ranking it as stem arthropod and others as a phyllocarid crustacean (Lieberman, 2003). 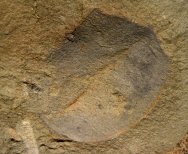 Additionally, Vannier et al., 2007, notes shared characteristics with Burgess Shale and Maotianshan Shales arthropod genus Isoxys. Resolving the affinity dispute requires fossils with still better preserved details. Tuzoia is described as a free-swimming animal having a big protective bivalve carapace, with or without spines, large spherical eyes, thin antennae, and substantial frontal appendages with six segments for grabbing food. Lieberman, BS. 2003. A new soft-bodied fauna: the Pioche Formation of Nevada. 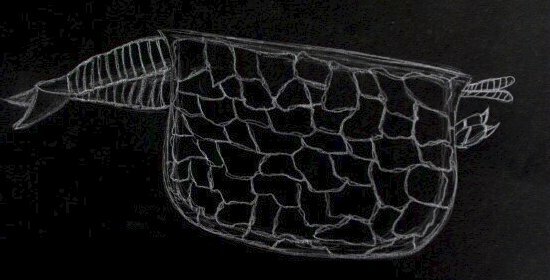 Journal of Paleontology, 77(4): 674-690. Vannier, JJ. Et al. 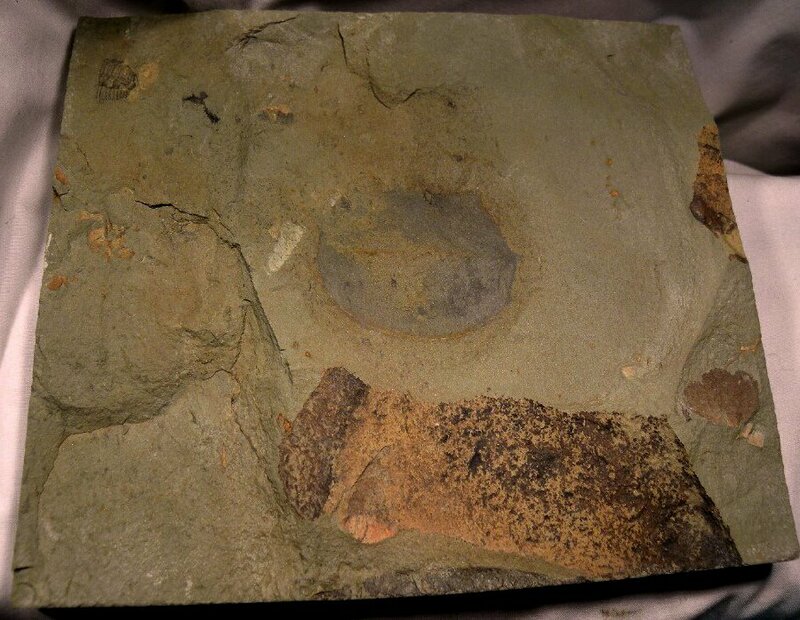 Tuzoia: Morphology and lifestyle of a large bivalved arthropod of the Cambrian seas. Journal of Paleontology, 81: 445-471.